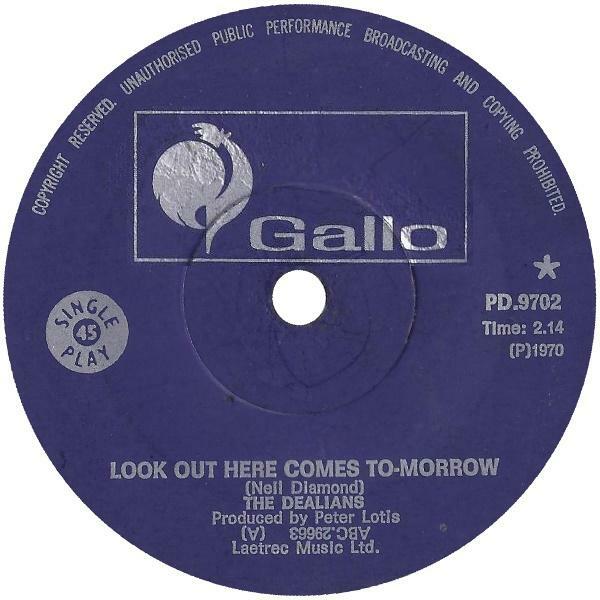 The Dealians were a band with an eye on the future. Well that is if the title of their first Springbok Top 20 hit was anything to go by. ‘Look Out Here Comes Tomorrow’ would go all the way to the top of the Top 20, spending 3 weeks at number 1 which was an illustrious start to their hit career. It’s not too surprising that the song had the success it did as it is an upbeat affair with warm brassy bits and some swirling organ underpinning the strong and breezy vocal. The beat is quick and it feels almost like a race to get to the end of this perfect pop ditty. Despite all the positiveness in the music, the lyrics tell a slightly different story. The theme of the songs is the dilemma of trying to chose between 2 woman, something that was revisited by Ballyhoo’s ‘Man On The Moon’ and Dog Detachment’s ‘Heartwheels And Mindmills’ which featured recently on this list. ‘Look out here comes tomorrow/That’s when I’ll I’ll have to choose/Oh how I wish I could borrow/someone else’s shoes’ are the first lines of the song and it goes on to to mention the poor 2 girls by name with either ‘Mary oh what a sweet girl’ or ‘Sandra long hair and pig tails’ about to get the boot. The song was a cover of a Monkees track that was written by Neil Diamond, but its not one of The Monkees’ best, their version sounds a bit flat and sluggish, almost as if the band were just going through the motions when they recorded it. 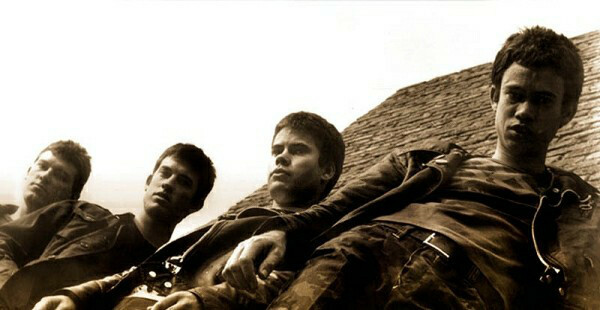 The Dealians, however blow fresh air into the song to make it one of the great local pop tunes from yesteryear. There was a 4 year hiatus between the brilliant ‘Fathoms Of Fire’ (Dog Detachment’s 2nd album) and ‘Barriers’, their equally brilliant 3rd and final studio album. In that time, they continued to refine their sound and move away from the raw punk of ‘The Last Laugh’ (their first album) towards a more refined rock. ‘Heartwheels And Mindmills’, despite its rather stange title, moves along at a good pace with a staccato guitar forming the spokes on the song, going round and round in your mind while Brian Armstrong’s vocals, at first soft and almost whispered, suddenly catch the wind and soar like the sails of a windmill on the chorus. There is something quite beautiful in this sound. And yet not is all well, as the lyric ‘How can I hope when my heart is torn in two’ tells us. There is angst and pain in the vocals that try and make sense of loving another when still loving the one you’re with. This is not a new problem for mankind, in fact there is a similar theme running through Ballyhoo’s ‘Man On the Moon’ and Dog Detachment picked up on the way we argue in circles when trying to resolve the situation. Like Ballyhoo who sang ‘My heart turns my mind into circles’, Dog Detachment sing of hearts and minds and circular things like wheels and mills. Though not as commercially successful as Ballyhoo’s take on this quandary, ‘Heartmills And Mindmills’ is no less a song. It’s just as tuneful and has a great vocal. It should have received the same attention.